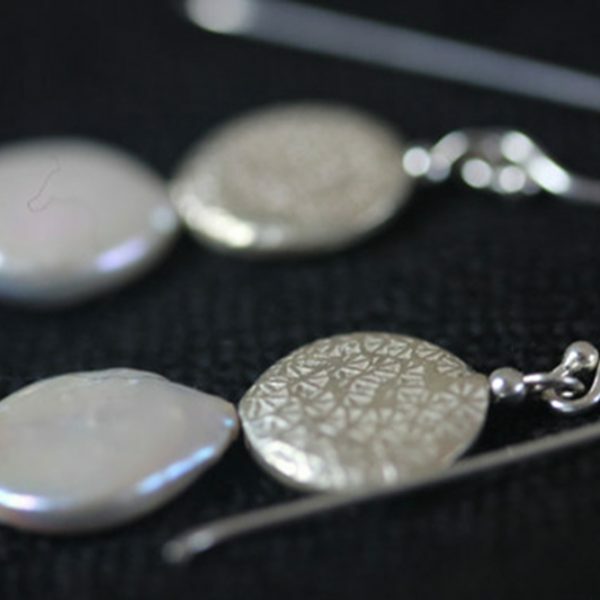 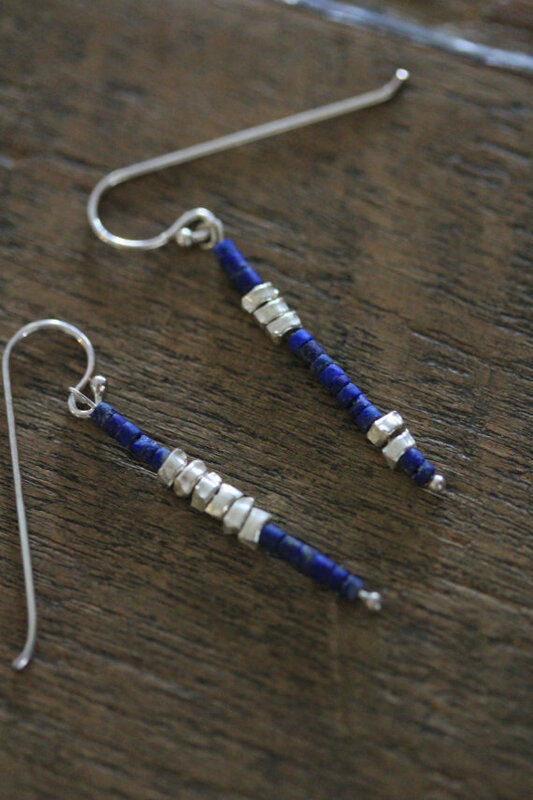 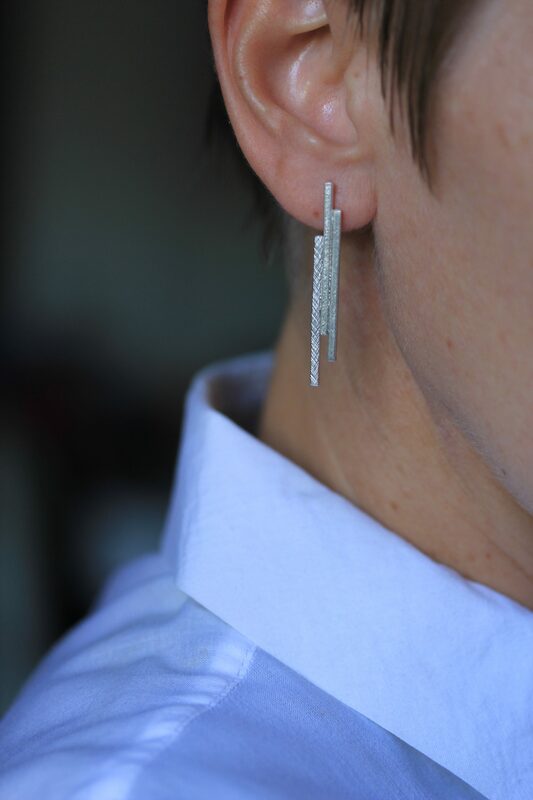 We used 1 mm square profile silver wire to make the three bars that were then soldered together to create the final shape of the earrings. 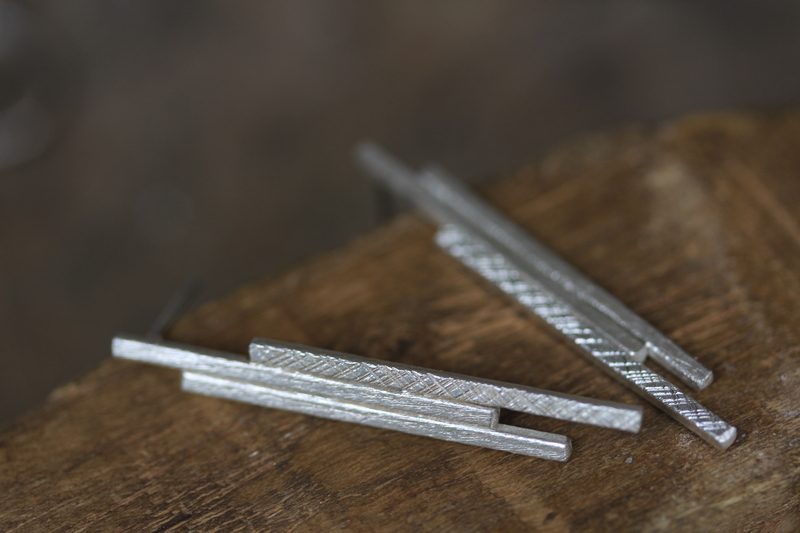 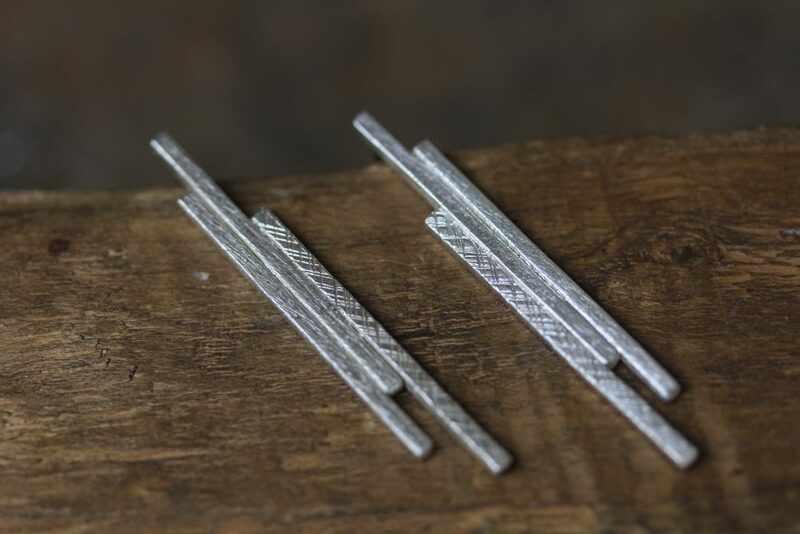 The bars are treated on surface to obtain a different texture – plain, etched and chiseled. 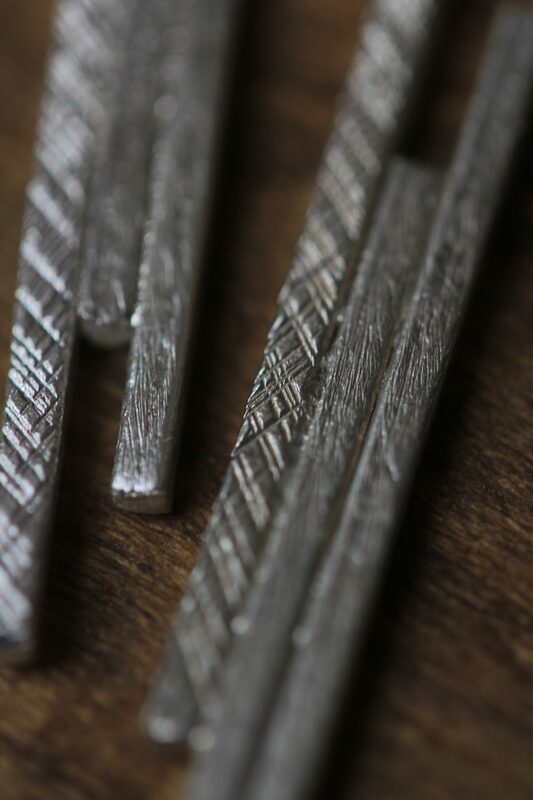 Each bar is 4 cm long. 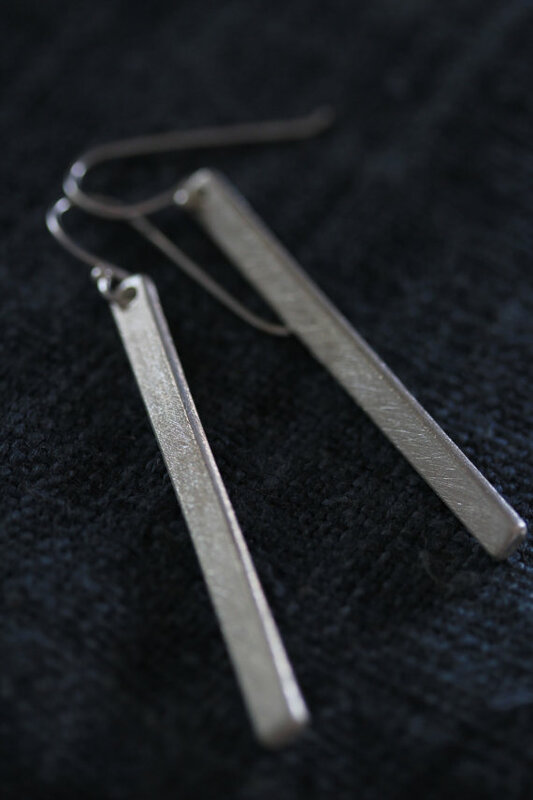 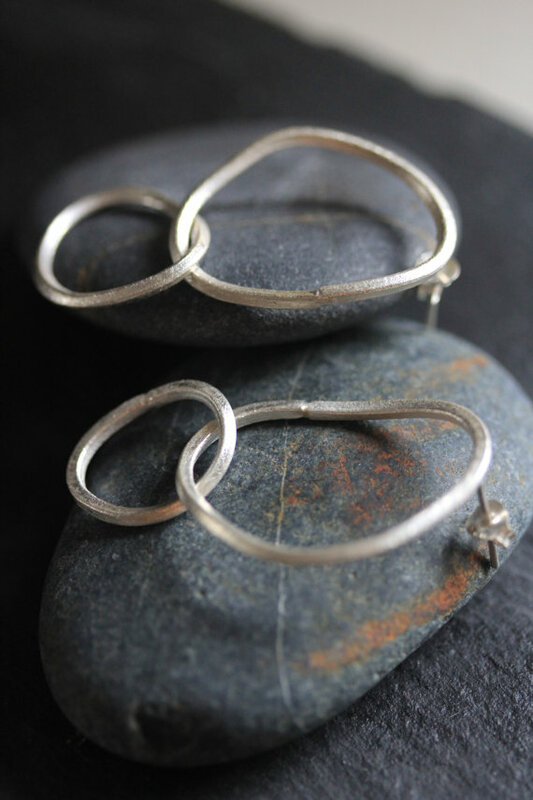 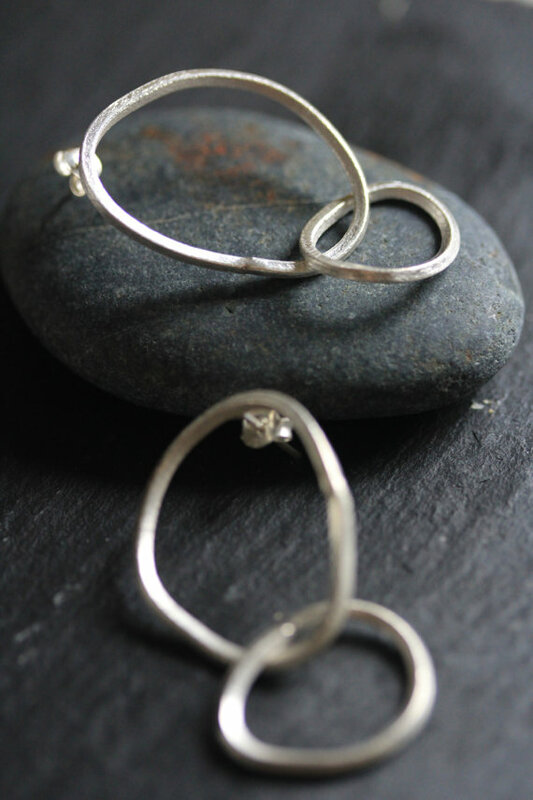 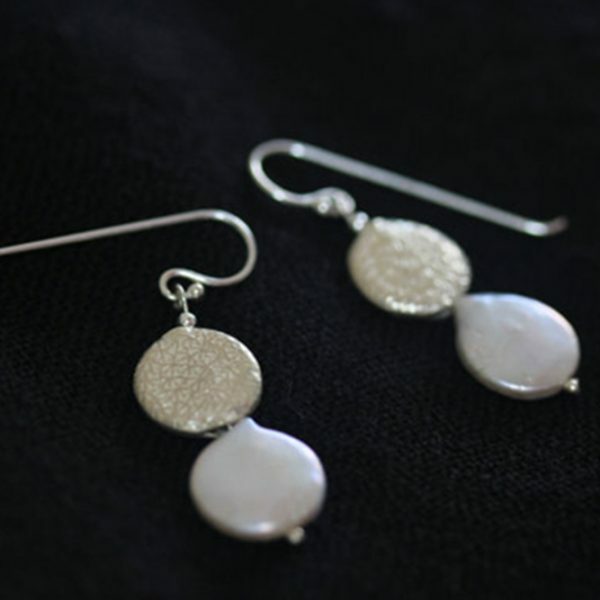 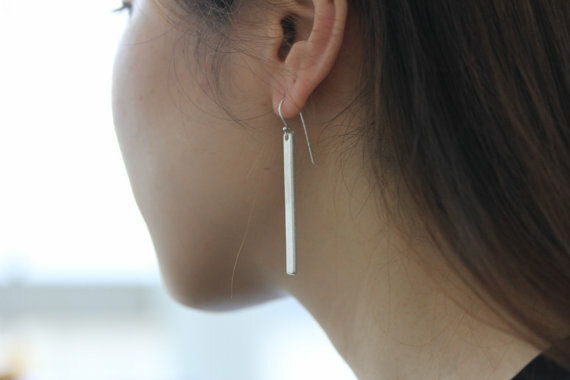 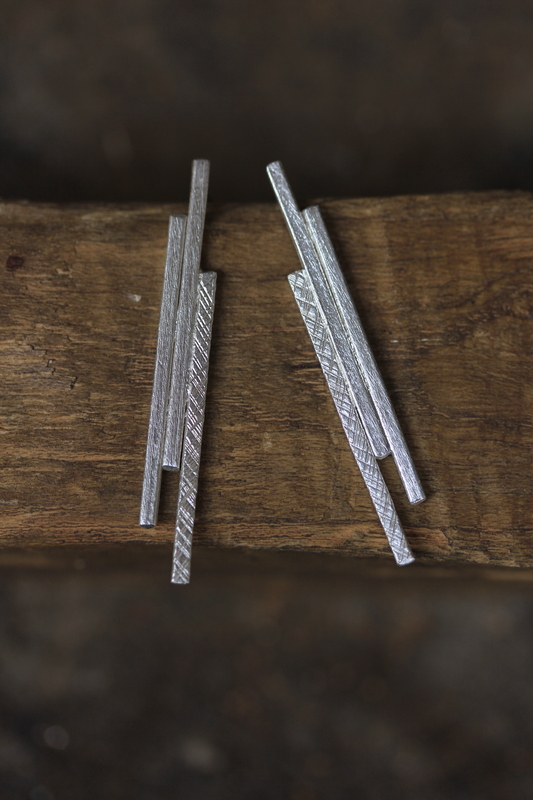 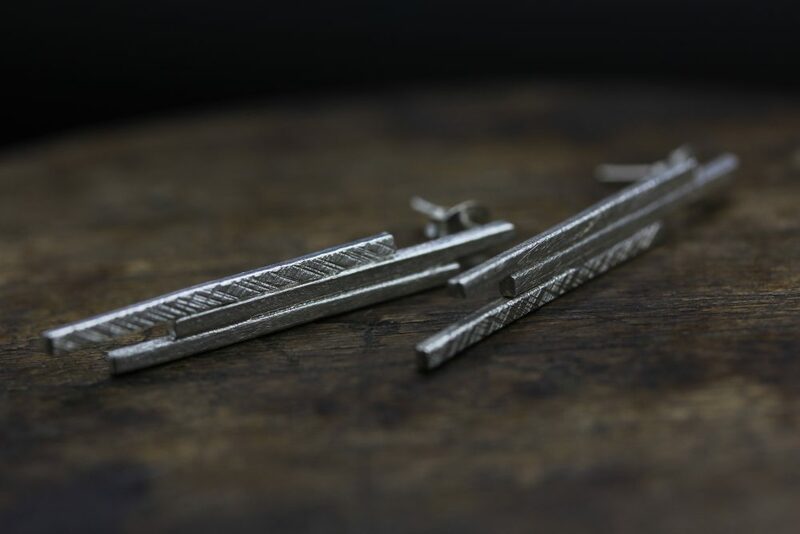 Very simple, light and modern, these earrings are a part of our collection called “lines” where we developed a series of earrings, rings, bangles and pendants with linear elements and different surface treatments.